When people ask me why I go to live shows I tell them it is because I love the connection that the band makes with the audience. This is also the reason why I do not like stadium shows. At shows such as this I find that connection is missing. With that said, I still felt the need to include these two shows in at number ten. What is perhaps most strange is that I ranked them here for two different reasons. Rush – I had never seen Rush, and it was only fitting that I should. So, I did what any Rush virgin should do…go with a master. I looked to my friend Dave (who has seen, if not mistaken 12 Rush shows). When I didn’t quite get why I should be excited my uber-fan friend leapt with excitement. For three hours the Toronto trio slid through a set of 80’s and 90’s era live rarities before playing their latest effort Clockwork Angels in its entirety. Then, as if to appease the likes of me, they kicked out “Tom Sawyer”, “Spirit of Radio” and “2112”. Look, before you judge me, the truth is that Rush (even with Geddy Lee’s weakening voice) still puts on an incredibly tight show, that harkens back to the heyday of 70’s grandiose rock n’ roll. It is big, it is (at times) cheesy and it was fun. Metric & Stars – Having seen Metric the first time at Barrymore’s in Ottawa, and having seen STARS when my old band open for them and they played to about 50 people, I have invested a lot of time into these two bands (particularly STARS). So, the cold stadium affair offered me something else. It offered me a sense of pride in two of Canada’s most dependable bands achieving the dream of playing to a stadium crowd. With my wife and 8 year old daughter by my side STARS began the night with an intense set that covered most of their career, with the exception of their sophomore album Heart, which was obviously missing from the set. Then Metric hit the stage with Emily Haines’ time-tested moves. Laying down a strong set Haines and company popped through a techno-inspired set of pop-rock songs that although heavily weighted to the new album did hit on highlights from former albums. Despite an album (Busting Visions) that was not as inherently catchy as their debut album (Say Us), Zeus still puts on an inspiring live set that seems to embody all the goodness of late 60’s psychedelic garage rock. Whether laying down a groove on the Rhodes keyboard or cramming a thrilling electric guitar riff into your earhole Zeus brings a big sound that always sounds better live. I couldn’t believe my luck. Here I was in London and less than a 5 minute walk from our hotel was the famed Electric Ballroom. And, as if that wasn’t enough, the band whom I was continuously listening to during our trip was going to be playing. So, after buying a ticket from a Dickensian-like scalper I bunkered down inside the ballroom where the anthemic-pop sounds of Iceland’s OMAM brought the London crowd to life. If one problem existed at this show it was the deluge of talking from the audience once they heard “the hit”. Otherwise, OMAM proved they are a band for the future. About halfway through this show I texted my friend and told him I felt like I was at a rave during the mid-nineties. Although at live shows I rarely do more than bob my head, the duo of Young Empires and local technophiles Kidstreet had me on the edge of seriously embarrassing myself. Kidstreet’s Fuh Yeah was one of my favourite albums of 2011 and this evening’s set was filled with the album’s danceable cries of youth and brought me back to my own younger days. I still didn’t dance though. Having never been to London’s The Home County Festival, I wasn’t sure what to expect. The Victoria Park festival is quaint and the volume is relatively quiet, but the family-friendly atmosphere worked perfectly for this show. Starting with a solo set from Ottawa Jim Bryson, and a beautiful set from Bahamas the evening was already off to a wonderful start. The show came to a glorious ending with a reflective and passionate Kathleen Edwards sharing her album Voyageur with an enthralled London audience. The evening started with the stunning hometown three-piece Catl and their retro-tinged rhythm and blues. The stale environment of the Kool Haus was set and the audience was ready for the sounds of Brittany Howard and company. Getting the hit out of the way early proved an interesting dilemma, as the audience fell into a chat session instead of listening to the other sixties’ inspired R & B. The fact remains that at the end of the evening, despite the audience, Alabama Shakes put on a stunning show that reflected the album’s glorious vinyl history. It is a truly lovely experience when you see an opener that blows your mind. I had songs from both Amos and Papermaps, but when I walked into Maxwell’s a large bearded man growled “Hello” from the stage and commenced his disarming set. Sounding like Tom Waits, The Decemberists and a Soviet-era Klezmer band Ben Caplan’s voiced boomed the audience into instant gratification. After his passionate set the Mercury Rev-like sounds of Papermaps and the Wilco-esque sounds of Amos the Transparent finished off a wonderful evening of music that worked because of its sense of diversity. Lee’s Palace is one of my favourite venues in Canada. And, on this night of Canadian indie gold the venue was pure pop-rock. The enchanting Library Voices brought the beautiful pop sounds of their 2011 album Summer of Lust to the Toronto fans and had them in the palm of their hands. Then Vancouver’s Yukon Blonde hit the stage with their eccentric brand of 70’s inspired rock. Blending equal parts Allman Brothers and Arcade Fire, Yukon Blonde fired up the audience with an impressive mix from their newest album Tiger Talk and their former albums. I had heard for some time about the level of live show that former Swell Season singer Glen Hansard put on. But, I must admit, never loving his albums, I was tentative about going to the show. However, Hansard displayed his love for powerful-folk inspired songwriting and put on a gloriously upbeat show at the Danforth Music Hall. Where Hansard differed from so many other musicians was his ability to connect with the audience. He engaged with the audience (even those annoying audience members who feel like a show is their time to have private conversations with the artist) and conversed about everything from the album cover to the artistic process. When he wasn’t engaging the audience in dialogue or offering local songwriters up onto stage to share their music he was performing rousing music that brought the audience to its feet multiple times. That combined with a Leonard Cohen cover and his impeccable version of van Morrison’s Into the Mystic made this is a stunning show. Oh how I love Change of Heart. Prior to their breakup in 1997 I had seen them on numerous occasions and loved each and every show. It seemed to me that with every show Ian Blurton and whatever line up of Change of Heart he was currently fronting made their amplifiers bleed with thunderous guitars and dynamic rhythms. When they broke up in 1997 my heart broke just a little. Then, in the summer of 2012 the band announced a handful of shows to celebrate their 1982 debut, and their newly released compilation spanning their entire career. The thing is that the Horseshoe Tavern show was not merely one Change of Heart line up, but every Change of Heart lineup. Beginning with the latest Steelteeth-era line up, CoH took to the stage with the fury that had made me a fan all those years ago. From there the band moved back in time through the 1990’s and into the late eighties introducing me to members I never had the chance to see play with the band. By the time the night ended my ears were brilliantly ringing and I had taken a 2+ hour spin through my youth. What a truly memorable night of live music. When I purchased this album in Glasgow the salesperson said "it's a lovely record". Never a truer word has been spoken. I suppose that is to be expected from an album that utilizes the flute as much as the drums or bass. As a primary songwriter in Teenage Fanclub, Gerard Love has always had a penchant for gentle Association-style 60's pop. On this record there are no power-pop gems a la Radio or Starsign, but a beautiful collection of subtle reflective (always Love's style) songs that beg for you to take a moment. Spoon have a tendency to show up on my top ten list whenever we are blessed with a new album. And, although this is not a new Spoon record this Britt Daniel's and Dan Boekner (The Handsome Furs and Wolf Parade) side project is still a good outing nonetheless. Merging the vocal style and rhythms of Spoon with whimsical keyboards this "supergroup" have charted into new territory. With musical lineage like this the record was bound to have strong structure, but could have (like many a supergroup) led to disaster. Instead Divine Fits builds on the strengths of its members and gives us an adventurous offering of new-wavish-garage rock. 10. Godspeed You! Black Emperor - Allelujah! Don't Bend! Ascend! Back around the turn of the millenium there was one band that continuously scared me. That band was post rock art collective Godspeed You! Black Emperor. I think one reason I was scared is because my power-pop-retro-rock corrupted mind couldn't handle the shift. They were not only odd in musical style, but odd in that their music was more about art than even the most artistic band I listened to. Their first album in 10 years finds me perhaps mature enough to appreciate their sonic layering and hypnotic soundscapes. To try and compare it to someone would almost be insulting to GY!BE. This is not the party album of 2012. But, it is the album to listen to intently...I recommend headphones. I'm not sure there is anyone in Canada cooler than Afie Jurvane. With his soul deeply entrenched in sounds of the late 50's and early 60's Bahamas brings to light the clean guitar sounds on what modern music was built. Between those clean guitar sounds and female back up singers Bahamas' Barchords harkens back to a days of musical purity, but oddly seems fresh and new. This was my album of the summer, and although we are months away from sitting on our deck in the sun, embrace the sounds of Bahamas and this winter might just feel a little warmer. Bonus points for having the best album cover of the year. This Vancouver popster has always had the ability to write great pop songs, but with her self-titled sophomore release Georgas has ditched her sometimes acoustic guitar in favour of the keyboard and in doing so flashes an ode to the pop of the 1980's. Where this album differs is that Georgas' penchant for catchy choruses has reached a new high. In just about every song you can feel her approaching the chorus with heart-broken confidence and this helps to create an album of pop magic. Although there are several standouts here the true gems "Somebody", 'Shortie" and "Waiting Game" reflect a woman in emotional transition cushioned by a backdrop of synthesized snare drums. In 2004 Montreal’s Stars released Set Yourself on fire, an album that will go down as quintessential to any Canadian record collection. The problem with releasing an album like that is that it usually proves a hard act to follow. And, although their next two albums were good, I think The North is the closest they have come to the high bar set with SYoF. While still retaining the baroque-pop sensibilities and boy/girl vocal transactions that have been their defining trademark, Stars have harnessed the powers of New Order to create a wavish gem of a record. Few bands have the ability to skate the thin line between angst and romanticism, and those rarities that do, don’t do so with the flare and audacity of Stars. Besides that can you name another nice Canadian act who vitriolically attacks the PM through social media? Didn’t think so. eMusic recently awarded Cold Speck’s I Predict a Graceful Explosion as the best album of the year. That is high praise indeed for the Toronto-turned-London songwriter Al Spx whose haunting soul voice and dark and disturbing lyrics have seemingly created a new genre of music called “Doom Soul”. Although lazy critics want to compare her to Adele is is like comparing The Cure to A Flock of Seaguls. Unlike Adele Spx’s Stevie Nicks-like vocals depressingly fold into her gentle piano and guitar rhythms bringing a quiet and, well, not to be punny, a graceful explosion of grandiose melancholy. I Predict a Graceful Explosion is oxymoronic, but not in a cheeky ironic way, but in a powerful way that may prove highly influential in the coming years. We don’t get voices like Brittany Howard much anymore. It seems that the 1960’s had a monopoly on powerful and “real” voices that deeply growled with emotion. That is something that modern music, in its battle for perfection and precision has lost. But, as much as we notice Brittany Howard’s voice when she metaphorically walks into our room, the fact cannot be lost that the remaining members of the band hold down the rhythm and structure with precision and allow for Howard to flourish. Harnessing the past music of Otis Redding, Booker T & the MGs, Janis Joplin and Aretha Franklin Alabama Shakes have created a stunning debut album that reflects the glorious soul of the 1960’s and the Americana rock of the early 70’s. It was my birthday. I woke up late. My wife and kids had left for the morning so that I could sleep in. While enjoying a coffee and reading Twitter I discovered an incredibly odd band from Sweden called Goat. I logged onto Rdio and checked out the lead off track “Diarabi”. “My dear lord.” I exclaimed…"What is this?” I turned up my stereo, louder and louder. 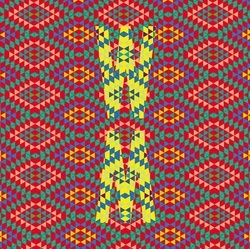 Psychedelic guitars droned away middle-eastern melodies while north African rhythms pushed the song into an uncharted desert of rock. With every song I adjusted the volume louder and danced around my house in increasing abandonment. With every song I embedded myself deeper into their strange and wonderful voodoo. When the final worldly notes of Det som aldrig forandras /Diarabi droned to completion I was an exhausted whirling Dirvish, lost in a weird and wonderful new found land. 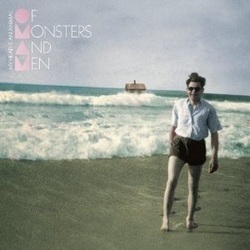 When all is said and done and the sounds of Carly Rae Jespen, Fun and PSY disappear to K-tel inspired compilations found at the gas station, we will no doubt look back on one band whose meteoric rise to popularity was unexpected but inspiring: Of Monsters and Men. The irony of the Icelandic band’s debut single “Little Talks” was that it was repeatedly called the song of the summer. But, for those single downloaders they would have missed an album that is laden with both catchy pop sensibility and folkloric tradition. 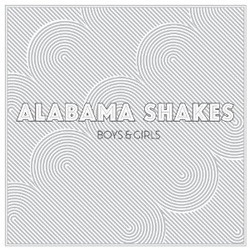 Taking bits and pieces from groundbreakers like Stars, Bjork, Arcade Fire and Mumford & Sons OMAM corrupted corporate radio with an anthemic glory which already sees us anticipating their sophomore record. In a time when Canadian bands seem to have 12 members, three of which plays cellos and strings, it is good to see three young moody Canadians can still get together and write an intense album full of angst and aggression. Sounding like Jesus Lizard and The Constantines beating up on Bleach-era Nirvana Metz come to their debut album with a ferocity that modern music is desperately in need of rediscovering. From the opening drums of "Headache" the album grabs you by the throat and doesn't let go. With every listen my headbanging became more intense and my aging neck grew more and more sore. But, in all honesty I needed this. Actually, we need this. In a year when I seemed to be finding a greater appreciation for experimental sounds I am brought back to a simply-crafted breakup record. 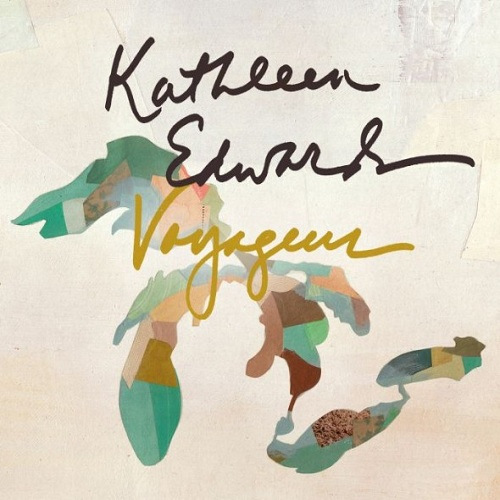 Kathleen Edwards has always been a strong Canadian songstress, but unlike in past outings where she has taken on roles, Voyageur is purely confessional. The album is a difficult listen because we are brought into this incredibly private place, a place of broken hearts. Not only are we brought to this awkward place but are asked to watch the destruction of a relationship. But, not always a victim Edwards existentially admits “I can be cruel” and on what is perhaps the album’s most honest moment states “Maybe I don't look at you, in a way that makes you think you should”. Meanwhile, on the upbeat single “Change the Sheets” Edwards belts out “My love is a stockpile of broken wills” prior to her rousingly scornful chorus “Change the sheets and then change me". Weather on upbeat songs like “Empty Threat”, “Sidecar” or “Change the Sheets” or on more somber reflections this an album of pure heartbreak. As much as Voyageur can be placed in the domain of the break up record beside the likes of Marvin Gaye’s Here, My Dear or Blur’s 13, this album shows the connection between Edwards and her audience. This is an album that connects a musician and her fans. For Edwards the awkwardness of allowing us to be "voyageurs" watching the demise of a relationship is real. With who else would she share this? And, that sentiment is echoed in the album’s incredible closing track “For the Record”. Tonally the song fits perfectly as a reflective piece at the end of a very cathartic album, but more importantly it acts a testament to the artist and the artist's will. But, by extension it acts as a testament to her fans. In a far more poetic way she is saying forget the record companies, the marketers, and the critics, “for the record, I only want(ed) to sing songs”. What is truly beautiful is that Edwards feels she can share these songs with us. Rarely do we want to hear a friend tell us the miserable end of a relationship, but when Edwards does so, we are all ears.